There’s something protective and comforting about keeping something within a Circle. John Wayne taught us to get our Wagons in a Circle. We all have a close Circle of friends. 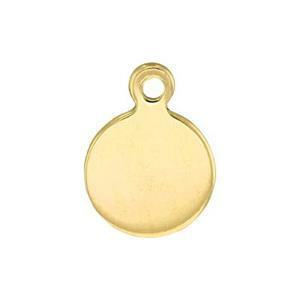 At Halstead, we can offer you our GF2444 - 14/20 Yellow Gold-Filled, Double Clad 24 gauge Circle Pendant Blank. Stamp or engrave something wonderfully sheltering in it! When you’ve completed your lovely creation, hang it from on of our many Gold Filled Necklace Chains.